/ How do I rename my new Kindle Paperwhite? Amazon has done a great job with so much of the Kindle and device world (I’m thinking about the Alexa line) but there are some things where their lack of imagination and creativity does get a bit dull. One that hits me a lot because I work with so many devices is the automatic naming system. Every time you log in to Amazon on any device it seems like it’s assigned a name, whether it’s the Audible app on your phone, the Kindle reader on your computer, an Echo unit or, as you know, a Kindle device itself. Over the years I have accumulated a remarkable number of gadgets in the Amazon ecosystem (echo-system? 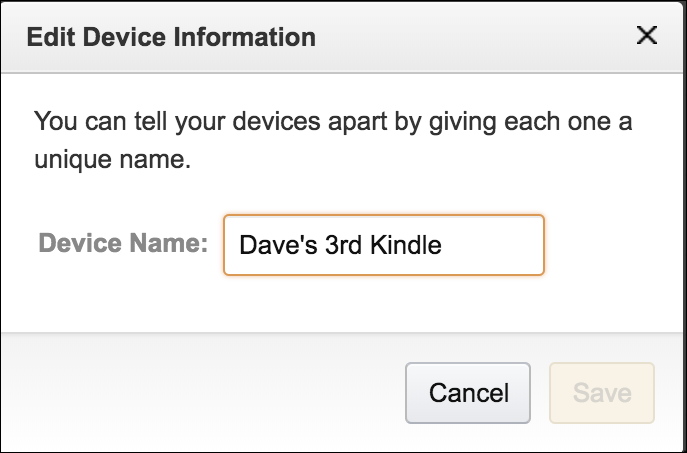  ) and when I bought my daughter a Kindle Paperwhite, she quickly became grumbly that it shows up with the highly unintuitive name of “Dave’s 3rd Kindle”. Same problem you’re having! 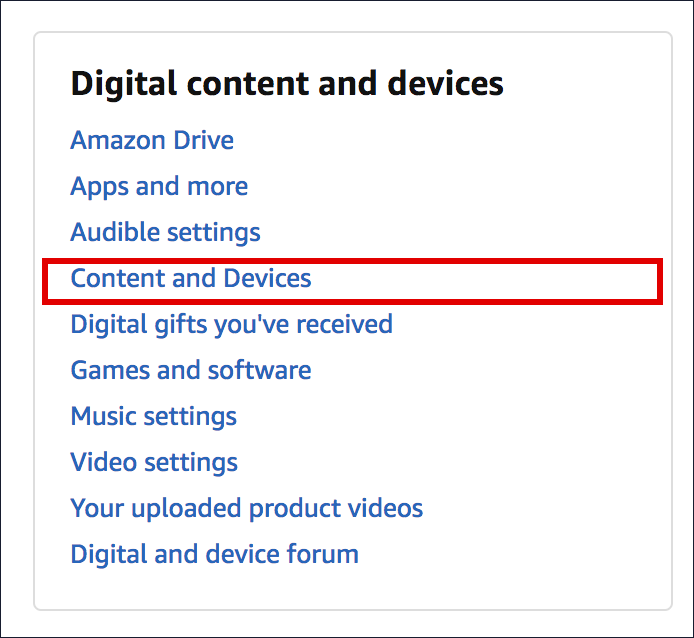 As I’ve highlighted, you can proceed by clicking or tapping on “Content and Devices” though do have a quick glance at the other options here so you can explore them later, as desired. Click into the “Your Devices” tab and you’ll see every single device, Kindle, Echo, app and everything else that Amazon knows about. It can be quite a list! You can see “Dave’s 3rd Kindle” on the second line – apparently Alexa Mobile on my iPhone X shows up as “Dave’s Amazon Alexa on iOS” on this list too. Yeesh. And this is just a small subset of the over 50 devices I have on my list! The middle column is the most helpful and makes it easy to identify the Kindle Paperwhite too. Notice you can “deregister” the device if you want to sell it or have someone else use it with their account, set it as the default device for Kindle transactions on Amazon.com, even view what’s on the device. Most importantly, up at the top by the device name, you can also click on “Edit” to rename it. Do that! Not too hard once you know where to look! Pro Tip: I have a lot of Amazon Kindle Help on my site, please take a few minutes to check it all out!